Quick DISCLAIMER HERE - Although, those products were sent to me I will share with you my honest opinion and thoughts, as always. I would never feature on the blog, something that I won't recommend to a friend and that I won’t buy with my own money. Now, when we’ve cleared that out, let’s get to the fun part! COCOSOLIS launched Love My Skin Collection at the end of March last year and I remember how excited I was when I saw it for the first time. Those of you who follow me on Facebook, probably saw me freaking on over it! If you are not following me on Facebook, please do! I’ll send tons of good vibes your way! Anyway! The collection includes three premium quality, all-natural dry oils. Two of the oils are exclusively for your body, while the third one is also suitable for your face. Each of the oils has specific properties and is helping in prevention of respectively stretch marks, cellulite and wrinkles. Let's start with the Stretch Mark Dry Oil, which is obviously for preventing and fighting stretch marks. This baby is made with Mandarin, Rosehip, Coconut, Cocoa, Calendula and Sweet Almond Oil and it's perfect for dry and aging skin. To be 100% honest with you, I can't really say if it fights existing stretch marks successfully as I don't have any. However, I always fancy a prevention rather than waiting around until a problem occurs and that applies especially for my skin care routine. Since this is a dry oil it soaks into the skin quite fast without leaving any greasy trails. It's very hydrating and it has mild citrus aroma from the Mandarin Oil. It's yummy and very refreshing! Second in the collection comes the Anti Cellulite Dry Oil... Again, pretty self explanatory what this oil is all about. The active ingredients here are Coffee Butter + Grape Seed and Hemp Seed Oils. Add to the mixture Coconut Oil, Jojoba Oil, Sesame Oil and Vitamin E and you have a recipe for tight and smooth skin. Again, I am keeping it real here and if you expect to get cellulite-free skin just from an oil (or any other product for that matter) you will be disappointed. Regular exercises, healthy clean diet and lots of water are key for preventing and getting rid of the cellulite. Only then using an oil like this one can aid and amplify your results. My favorite way of using the Anti Cellulite Oil is right after taking a shower. I apply it in circular motions by massaging it into the skin. As the other oil, it absorbs easily and quickly into the skin and leaves it smooth as (vegan) butter. It has very subtle scent that I didn't like at first, but it grew on me over time and now I actually enjoy it. Weird, huh? Last but not least... Actually who I am kidding! I saved the best one for the end on purpose! The Superfruity Dry Oil is my absolute favorite from all three and it's the one that is suitable for the skin on your face. Due to the fine blend of Goji Berry, Pomegranate, Passion Fruit and Rose hip Oil, it has anti aging properties and the most delicious aroma. It smells like a watermelon, but better! Seriously, I am in love with this oil! I’ve been using it almost every night for months and I am still half way through it. I use the Superfruity Dry Oil as a moisturizer all over my face, neck and around my eyes. You can also mix couple of pumps of the oil with 1 - 2 tbsp. coconut sugar and make yourself face and lip scrub. I recommend coconut sugar, because its crystals are more delicate than the regular one and hence it's way more gentle on the skin of your face. I found out that after a longer use of the Superfruity Oil my skin is more plumed, more soft and more vibrant. There was a visible difference in my skin for the better and I love when a product does that. 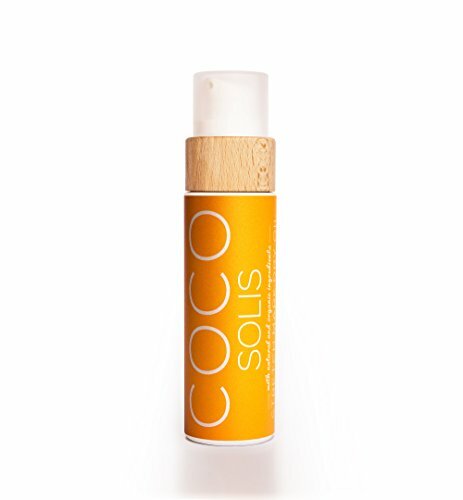 As the other oils from COCOSOLIS you can purchase them through their official website or through Amazon. The price of the Anti Cellulite and the Superfruity oils is 29 EUR for each, while the price of the Stretch Mark oil is 33 EUR. Yes, yes and yes! 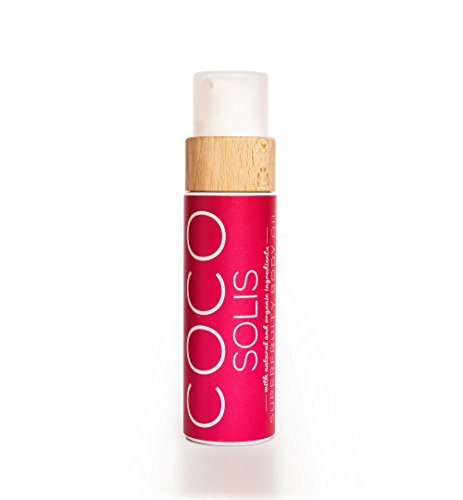 It's not a secret to anybody that I am absolutely in love with COCOSOLIS, their products and what they stand for! I really looked hard to find something that I don't like about these products as I don't want my review to sound overhyped, but I couldn't find anything. Again, COCOSOLIS haven't disappointed me. They provide what they promise - high-quility, natural, luxurious oils, crafted by the highest standards. I don't know about you, but I am a fan! 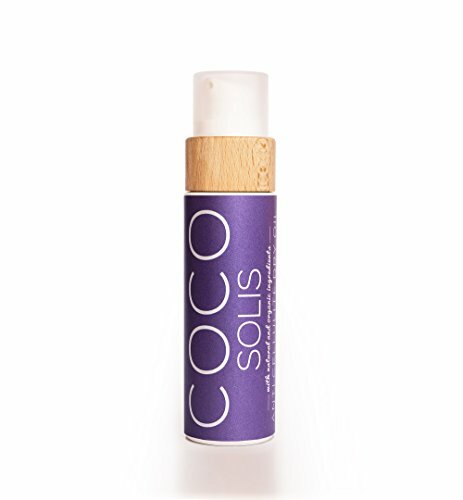 What do you think of COCOSOLIS? Have you tried any of their oils so far? Share with me in the comments! I am always happy to hear from you!